Should I have My Home Tested For Mold? First off, let me clarify and help you understand more about mold. 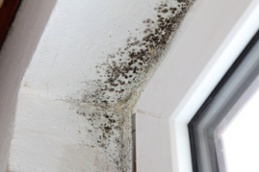 Molds are fungi that are found almost everywhere…inside and outdoors, year round. Molds act as nature’s decomposers, breaking down organic matter and can be various colors including white, orange, green, or black. Molds reproduce by releasing microscopic spores into the air, which can enter homes through windows, doors, cracks, and vents. Most molds show little ability to actually harm us, but they often irritate those who have asthma or allergies. However, there are harfmful molds that can be found inside the home. Stachybotrys Chartarum, a greenish-blackish colored mold, is a more aggressive mold and can be harfmful. Stachybotrys Chartarum (atra) is a greenish-black toxic mold that colonizes particularly well in high-cellulose material (straw, hay, wet leaves, dry wall, carpet, wall paper, fiber-board, ceiling tiles, thermal insulation, etc). Stachbotrys, before drying, is wet and slightly slimy to touch. There are around 15 species of Stachybotrys known throughout the world. This toxic mold grows in areas where the relative humidity is above 55%. 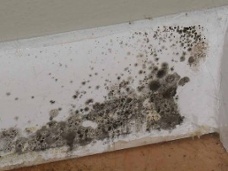 This type of mold does not grow on plastic, vinyl, concrete products, or ceramic tiles. It is not found in the green mold on bread or the black mold on the shower tiles. Stachybotrys produces a mycotoxin that causes human mycotoxicosis. How Do I know What Kind of Mold I Have? Even though you may see or smell mold, it is nearly impossible to make a visual diagnosis to identify types of mold. Remember, not all molds are harful. The best way to identify the types of mold inside your home is to have air or surface testing performed. 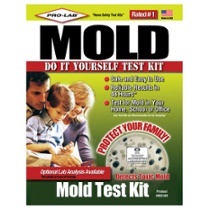 Can I buy a home mold testing kit from Lowe’s/Home Depot/Wal-Mart/Menards? Yes. But although these tests are inexpensive, the results are of most times of little use. These tests are used to give you a yes or no answer, but they don’t tell you what types of mold are present. I view these ‘home mold testing kits’ like ‘home drug testing kits’. You are left with inconclusive results and even when you spend the time to send the samples in they give you a yes or no answer, but most people want detailed information, like what kind of drugs? I would recommend, saving your money and utilizing a professional mold testing company. How many tests or samples should I take? A minimum of 2 tests should be taken for accurate restults. One should be taken inside near the suspected area, and one should be taken outside of the home. This way you have something to compare the inside sample to. You should know the mold levels inside your home relative to the levels outside. 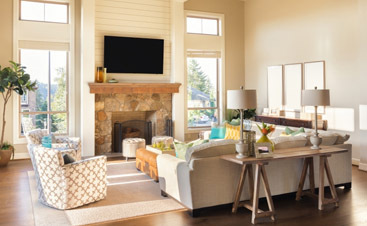 If you suspect mold in your home, consider hiring a local mold professional. 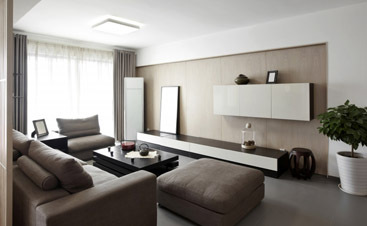 These mold professionals are trained to test for molds and often times can clean up the mold as well. Would you like to ditch the ‘do-it-yourself waste of time results’? Would you like to have professional and immediate mold test results? 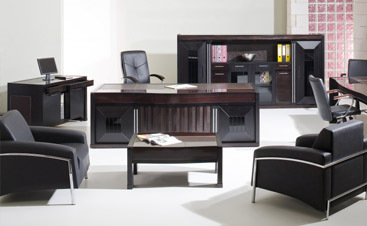 Enjoy the peace of mind that comes with Clean USA’s ‘Full Value Promise‘! You’ll get immediate & detailed mold test results – or it’s FREE! !